Taylor Swift has a LOT of best friends. Although her friendships with Selena Gomez, Lorde Jamie King, Emma Stone, and the girls of Haim—just to name a few—are adorable, her special bond with Victoria's Secret Angel Karlie Kloss takes the cake. 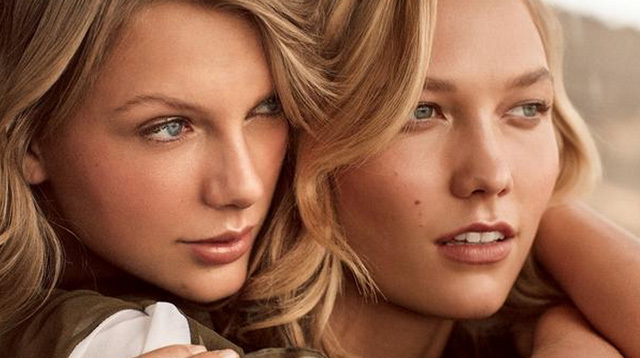 Tay shares Vogue's March 2015 cover with her twinnie/sis/fellow blonde bombshell, and boy do they look amazing! Vogue put their friendship to the test by making them play a game called "The Best Best Friends Game." So, who do you think won? Watch the video below to find out!